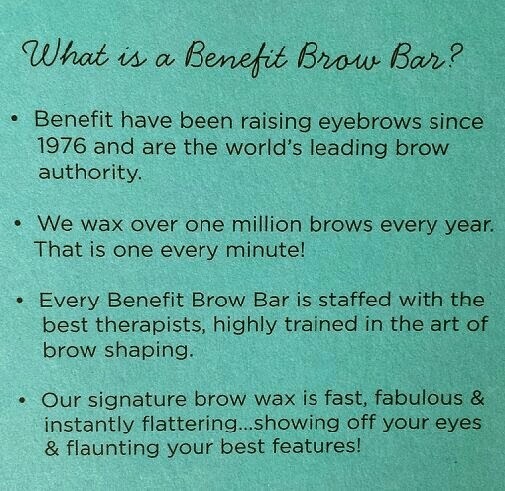 The Benefit Brow Bar is a service that is available at certain Benefit Cosmetic counters that provides a list of treatments ranging from eyebrow waxing and tinting to chin and upper lip waxing. 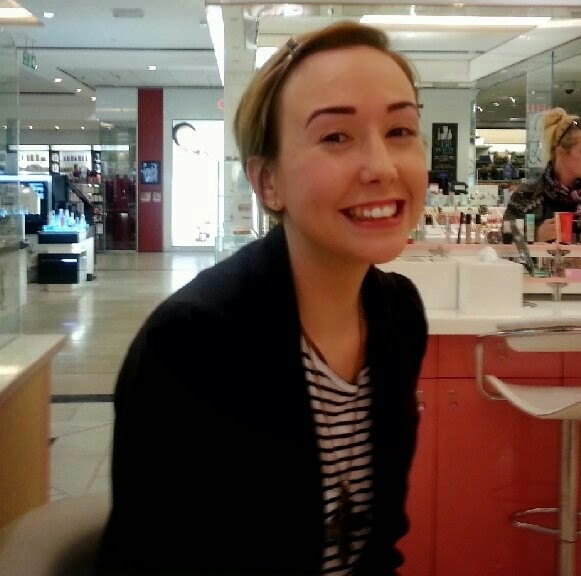 Over the Easter bank holiday, myself and my sister made a visit to the Brow Bar for an eyebrow wax and tint and I have decided to write about the experience for anybody who is either considering going or who are looking for a fix for their eyebrows (like I was!). Having your eyebrows waxed and tinted means that you won’t only be walking away with AMAZING eyebrows, but you won’t have to spend your own time plucking, shaping or even filling in with an eyebrow pencil. The tint temporarily dyes your eyebrows meaning that the only thing you will need a pencil for is for filling in any last tiny bits. You can still use wax on top of them to hold them in place though! Along with this, having your eyebrows professionally shaped means that you will have the best arch to suit your face shape and features. It is all worked around opening up your face and enhancing your eyes. 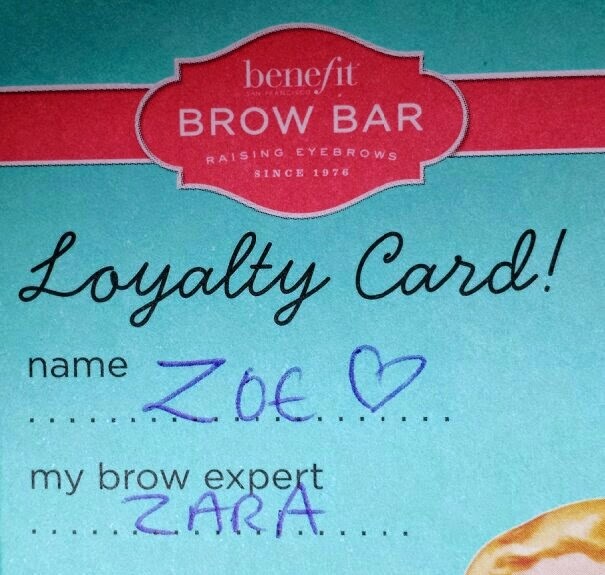 As an extra, having your ‘brows done at the Benefit Brow Bar in your local Debenhams will provide you with a loyalty card. Each visit you make will earn you a stamp and on particular visits you can earn free things! 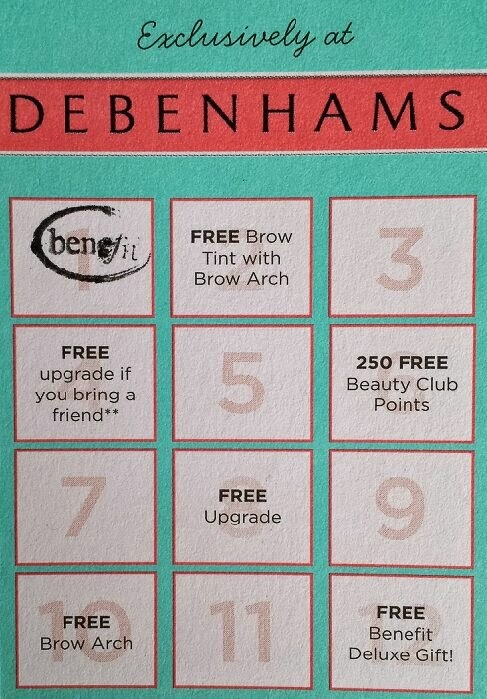 At the end of your card, you get a free deluxe gift from Benefit! You also receive a free wax for your birthday. Good times! 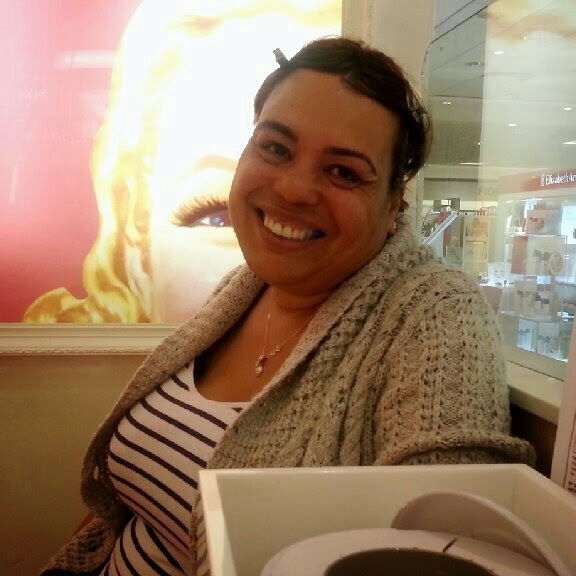 The lady who we booked our appointment with (Zara) was so friendly! She made us feel right at home and comfortable and the conversation never felt awkward or forced which was brilliant. We started off by having a short consultation and filling out the necessary paperwork. We decided exactly how my brows were going to look and what shade they would be tinted. The tint was the first step. During this process you get to show off some awesome clown brows which are always a giggle. The dye doesn’t sting and it takes close to no time at all for the colour to take. Benefit do recommend having a patch test done before going through the tint and the wax, but you do have the option to decline it. Once the dye is wiped off, you have the chance to discuss your shade. If you want to change it then you have the option to do so! Next up is the wax. You get to test the temperature of the wax yourself to make sure you are okay with it before starting. It is then applied to the skin with a stick and the strip is applied and patted down before being removed. The wax itself isn’t painful at all. If you pluck your eyebrows then you shouldn’t need to expect anything more painful than that. Zara actually told us that some people claim that having their eyebrows waxed is incredibly relaxing! Following the wax, you have any strays tweezed. At this point you get to check out the shape and ooh and ahh over how amazing your eyebrows now look (along with the awesome redness!) before your eyebrows receive a hug! Yep, your eyebrows receive a lovely, cooling hug! This cools the waxed areas down instantly so no irritation occurs. Also in this step you have Benefit’s It’s Potent! 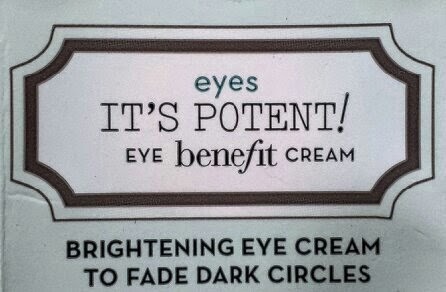 eye brightening cream applied to the eye area which is a fantastic little cream. It’s gently hydrating and has a beautiful smell! Next up is the cover up. Boi-ing is applied to the eyes to cover the redness left behind so nobody will ever be able to tell that you’ve just had them done! 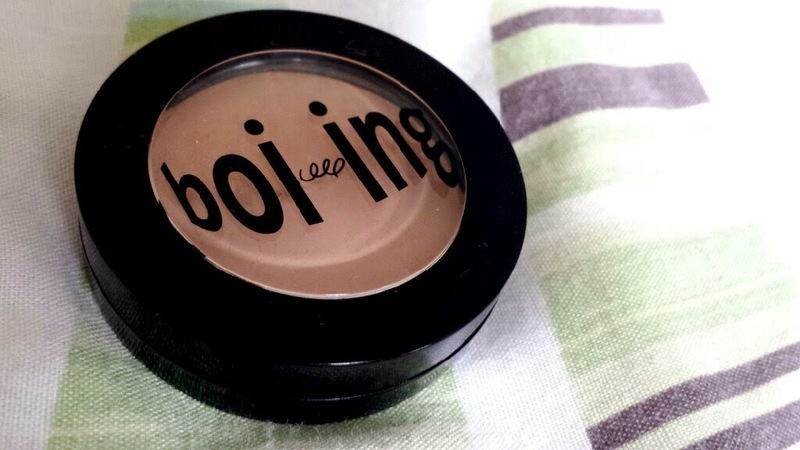 Boi-ing is an industrial strength concealer that claims to cover everything. I find that it does provide a huge amount of cover and is my most recent concealer love (I purchased it a few days before the brow appointment for £17.50 from Debenhams). You also get your eyebrows jazzed up even more with Brow Zings which comes with brow wax, natural powder, a hard angled brush, a blending brush, tweezers and a mirror. This was the first time that I had actually used Brow Zings (I know, I know! Please don't shoot me!) and I have to say that I loved the finish it provided! I’m definitely heading back to purchase some for myself. 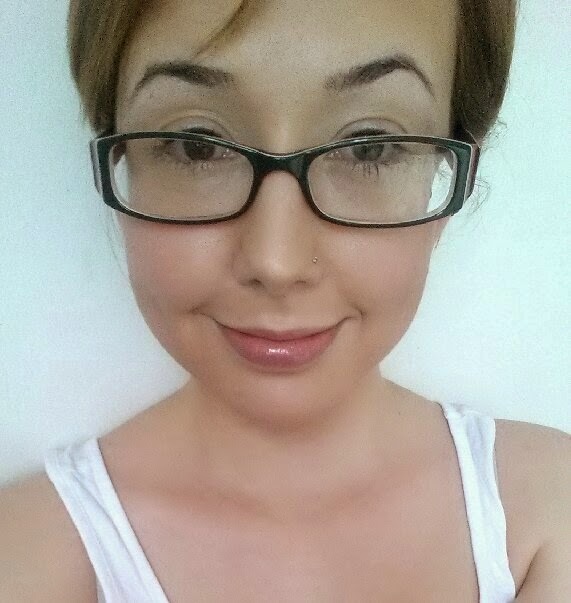 My eyebrows looked groomed without looking fully made up which usually happens when I try to fill my eyebrows in! 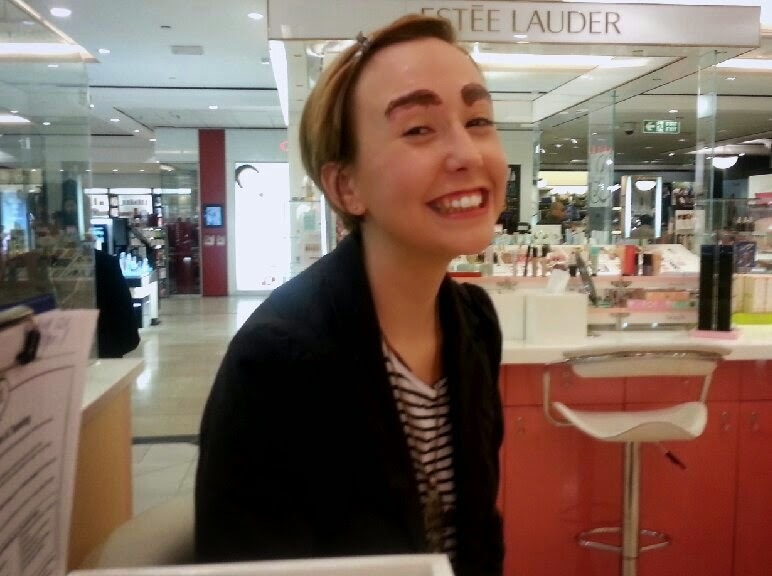 For added brightness, Zara also applied High Brow underneath my eyebrows. This product helps to lift and open your eyes even more which is fantastic for somebody like me who always looks tired! After my appointment, my sister had her turn and followed the same process. One eyebrow waxed, one not. The whole experience only cost me £18 for the wax and tint. There are other options if you don’t want the tint and wax together so you can mix and match to achieve exactly what you want. Just a wax? Just a tweeze? Just a tint? They're all options. 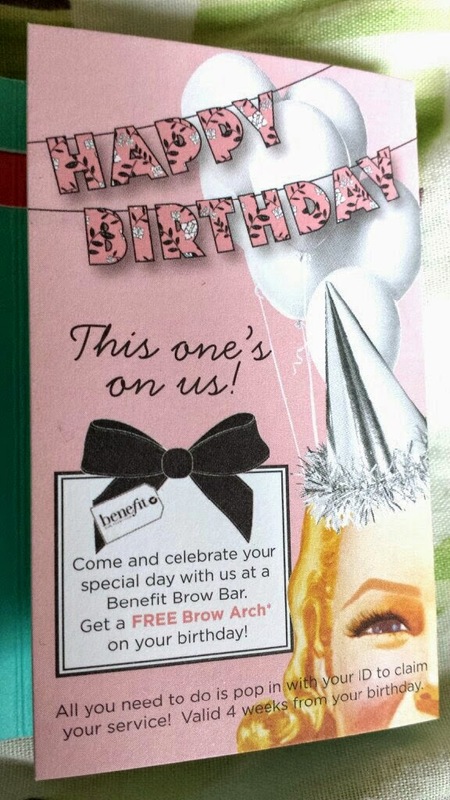 Have you ever had your eyebrows done at the Benefit Brow Bar? Do you go somewhere else? How are your experiences?